Video is one advertising platform that is quicker and more effective at getting a message across than any other. 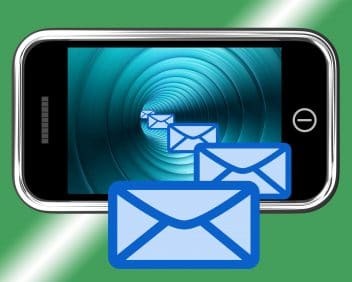 Email marketing has become commonplace among marketers and as the influence of online video grew, so did the inclusion of video in email marketing. Though one area of business where including video in email has been slow, but shows great promise, is recruiting. Thinking about using video in your recruitment email campaign might sound confusing at first. For many years, hiring managers and HR professionals have been accustomed to sending out text job descriptions or links to their careers page. Since video job ads might not be currently utilized in email campaigns, recruiters may be at risk of forgetting. But with the increasing number of people consuming online video, we are seeing that this form of communication does a much better job at communicating information than text. Further, statistics show that adding videos to an email can increase click rates by 300%. When looking for top talent while maintaining a low cost per hire, adding video to a recruitment email campaign should be a necessary avenue to attract candidates. This is why video job descriptions are replacing the text job description. Video job descriptions help find more qualified candidates, result in up to a 56% reduction in the cost per hire, as well as candidates retaining info from the job description 300% more. Video job descriptions just work better than text job descriptions. Video is better than text job descriptions, but why include it in email marketing campaigns when hiring? Well, since video captures attention better than text, whoever receives the email will be more likely to actually open it and watch the video. Emails are also often forwarded to others, especially when a person knows someone who is in a job search. Not only will more people be more likely to watch your video job description, but they will also be more likely to forward it along to their network. Anyone viewing the email may choose to share the video on LinkedIn, Facebook or Twitter as well. Sharing is what will make a video job ad go viral. Video job descriptions also save time on both ends. Instead of writing out an email or setting up different templates for different jobs, you can simply link a screenshot or play button image to the video into the email, write the subject line, and be done. On the viewers end, video is easier to retain meaning and they will not need to read it over again. Video can also show off company culture and environment unlike text descriptions, keeping the viewer from having to do that research on their own. The other benefit is that video can link directly to your application, saving the viewer from having to search the email for it. When we see how well video job ads perform compared to text job descriptions it is hard to justify using text over video anymore. Couple this with the fact that video in email marketing is becoming so popular due to the effectiveness of video, we can see that using video job ads in your recruitment emails is a great way to get more qualified candidates and increase your campaigns’ effectiveness.